Cataracts result from the natural aging process in the lens of the eye. The lens of the eye must be clear in order to focus light properly. As the eye ages, the internal lens, which provides about 50 percent of the focusing power of the eye, begins to harden. By the time most people reach their early 40s, they begin to experience this hardening of the lens as loss of near vision. By the time most people reach their early 60s, the lens begins to turn yellowish and cloudy. Most people experience this clouding of the lens as reduced clarity and focus, and in some cases as an increase in glare and night vision problems. Cataracts also reduce contrast sensitivity and color vision. When these symptoms reach the point of interfering with daily activities, cataract surgery is needed to restore the clarity of focus. Although cataract formation is a natural aging process, certain factors can increase the rate of cataract formation or promote premature cataract formation. Prolonged sun exposure, cigarette smoking, steroid use, inflammation inside the eye (such as iritis or uveitis) and trauma to the eye are all associated with cataract formation. In addition, disorders and diseases such as high myopia, diabetes, obesity, and hypertension are all risk factors for cataract development as well. The age of onset of cataract development is also genetically determined. Children may also be born with cataracts, which are one of the most common birth defects. In the beginning stages of cataract development, it is possible for a person’s glasses prescription to change. Changing glasses periodically to maintain functional vision may be necessary. When changing glasses no longer results in functional vision, cataract surgery may become necessary to restore normal vision. 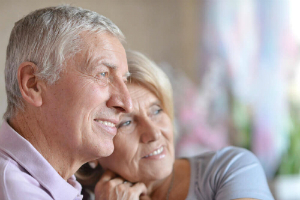 Click here to learn more about our cataract surgery procedure. Appointments may be arranged by calling 601.969.1430 between 8:00 a.m. and 5:00 p.m. Monday through Friday. Please let us know 24 hours in advance if you must cancel your appointment.